FLIPPED OUT: Jordan Ghrist bought a four-bedroom in Washington, D.C., for cash, gutted it and resold it after three days on the market at an estimated 28% profit. "In this market now with these numbers, everyone thinks they're going to catch the next wave," says Zar Zanganeh, a real-estate broker in Las Vegas, adding that he gets three times as many requests for homes to flip now than a year ago. Patricia Delinois, president and chief executive officer of Century 21 Premier Elite Realty in Miami, facilitated a flip for a 6,255-square-foot "complete fixer-upper," she says. 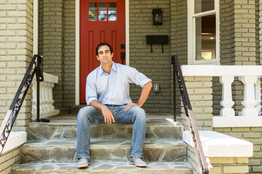 In Washington, D.C., Beth Hughes, a real-estate agent with DCRE Residential who finds homes for flippers, last summer found a 2,000-square-foot house in Columbia Heights for Jordan Ghrist, president of Level One Development LLC. He bought the four-bedroom, 3½-bathroom house for $461,500 and gave it a "total gut job," he says. Mr. Ghrist has a $2 million fund so he can pay with cash. "These aren't paint-and-lipstick jobs. Basically, you have to re-envision the entire house," says Mr. Bartlett, who flips single-family and multifamily homes with a team of partners, including Eric Sussman, senior lecturer at the Ziman Center for Real Estate at the University of California, Los Angeles. Mr. Bartlett recently bought a 1,850-square-foot modern house in Los Angeles's Hollywood Hills for $690,000. He then spent $50,000, mostly on cosmetic changes, adding walnut flooring and railings, maple cabinets and granite counters in the kitchen, a new wet bar, and fresh paint. He expects the house to close this week for $888,888—at a 20% profit. When buying a home to flip, Mr. Bartlett says he first considers the foundation, roof, electrical system, plumbing, and heating and air-conditioning. "That's where you really drop all your money when you fix a house," he adds. For items that people see, such as appliances and fixtures, he'll buy brand names. Sometimes he buys in bulk. "Costco COST +0.38% had really, really great Hansgrohe bathroom faucets for $70 each. I took 20," he says. "I don't know yet where I'll use it, but I know I'll use it. And when a buyer comes into the house, he'll see Hansgrohe." In recent months, high-end flippers have had to be creative in finding homes. Mr. Bartlett, the Los Angeles flipper, bought a house in Rancho Palos Verdes after a friend told him the owner had died, and his family, who had inherited the property, lived out of town. The property had been vacant for six months and had water damage. He called the family's real-estate agent, who sold the property to him for $825,000. He plans to spend $200,000 to create an open floor plan, reconfigure the master bedroom, redo the landscaping and put in air-conditioning. Normally, he doesn't take on houses that need a complete overhaul, but he expects this one to sell for $1.4 million, a 37% profit, he says. Lloyd Segal, a house flipper himself and author of "Flipping Houses," a guide to buying and fixing houses, finds homes through bankruptcy courts, probate courts, courthouse auctions and people in his network, to whom he'll pay an assignment fee. Sometimes he just drives around Los Angeles to scout properties. That's how he found one of his latest homes, which he bought for $2.85 million. "I was late for a date and driving like a maniac through Hollywood. I see this little sign that said 'For Sale' and a phone number," says Mr. Segal, adding that he immediately pulled off the side of the road to call. "I was late for the date. You can see my priorities. Don't tell anyone that."